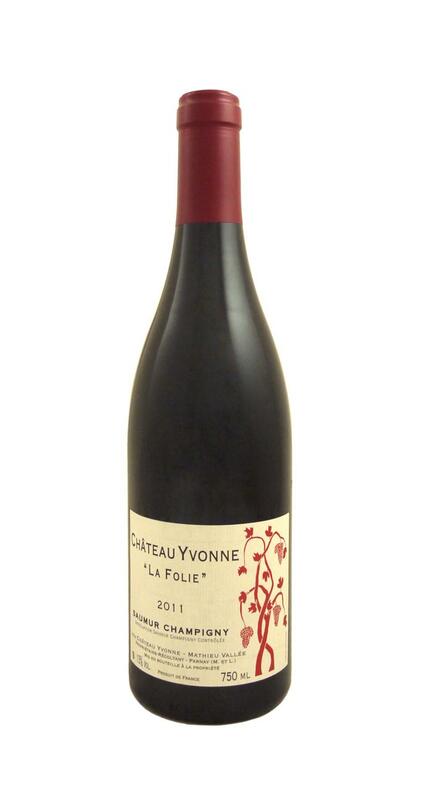 An accessible and easy Cabernet Franc that displays the region's tuffeau soils in its unadorned, clean profile, La Folie comes from plots within the village of Champigny. Tart, with a terroir-driven personality, raspberries and dried herbs strike the palate, edged with smoky, pepper aromas. Acidity is bright and fresh, as the wine was matured in neutral barrels. A satisfying wine for casual nights over lamb chops with lots of herbs. Simply put, this is a stunning expression of Cab Franc! Beautifully textured with pure raspberries, pepper, earth, dried herbs and violets. The palate is fresh and lively with searching flavors of pure raspberries, clay, wet rocks and savory notes of fresh rosemary, thyme and basil. It continues to evolve and becomes so alluring it's impossible to put down the glass! Fresh acidity and smooth tannins wraps it up with a pretty bow. Pair it with grilled steak and herb butter, portobello mushrooms or a great book! Notify me when Saumur-Champigny "La Folie," Ch. Yvonne - 2016 is back in stock.